Purchasing disposable toys instead of saving for college. Spending months on the intricacies of fantasy football but not focusing on retirement until 55. The rise of the Kardashians. As humans, we know we’re not perfectly rational. Rather, we know other people aren’t perfectly rational, even if we don’t always spot it in ourselves. And so it is with our financial decisions. Hence, some of us rush to buy Powerball tickets (with jackpot odds of approximately 1 in 292,000,000) while ignoring a 3% company match for our defined contribution plan (with its odds of 1 in 1). But studying behavioural finance, with its insights into our (ir)rationality, might just be the golden ticket to better investment management. 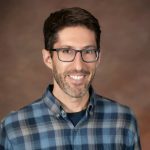 In his “Behavioural Finance and Portfolio Management” session at the 50th Annual Canadian Employee Benefits Conference in Montreal, Quebec, Mathieu Tanguay explained human biases, how to avoid biases when possible and, importantly, how to take advantage of these biases in portfolio management. 1. Investors are not rational. 2. Markets are not efficient. 3. Expected return is not solely a function of risk. The behavioural finance concept applies to more than just individual investors. Even professionals are prone to mistakes based on cognitive and emotional biases, Tanguay noted. From the tulip bubble in 1600s Holland to the U.S. dot-com and housing bubbles of recent decades, investors of all stripes can fall prey to confirmation, framing and overconfidence biases, among many others. Confirmation bias occurs when people seek information that confirms their beliefs (and, on the flip side, ignore data that contradicts those same notions). 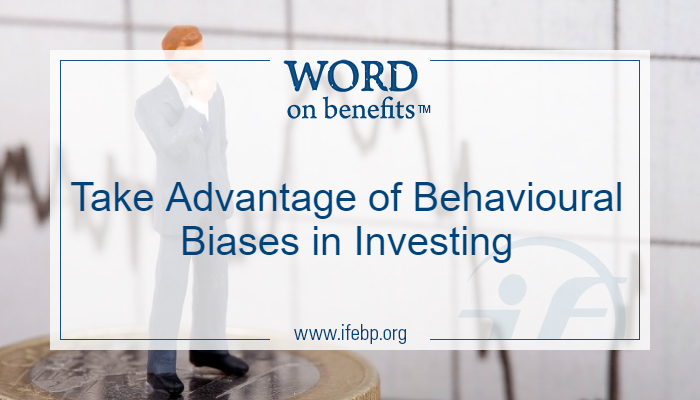 Framing bias happens when decisions are influenced by how an investment is framed. For example, Tanguay cited research showing wildly divergent decisions based on whether an investment was framed as a sure loss instead of as a sure gain. To avoid common biases when investing, Tanguay said, make use of multiple perspectives to evaluate stocks, focus on long-term outcomes instead of short-term pains and gains, and set rules that help to remove emotion from your decisions. Of course, there is so much more than just avoiding mistakes. To that end, Tanguay talked to the audience about turning these behaviours to their advantage. He mentioned momentum tilt and technical analysis as ways to benefit from investment flaws and biases. Momentum tilt is about “making the trend your friend,” Tanguay said. If you can spot a trend early, you can ride the momentum up (or down, depending on the investment decision). Where running with the crowd is good, joining the herd is bad, Tanguay noted. In other words, don’t jump on a trend right as it’s about to end. Incorporating a technical analysis can help you to identify trends and their reversals, Tanguay said. It focuses on prices and volumes and makes use of the following three premises. Technical analysis can help investors forecast future price trends in their early stages and make use of those trends until the evidence shows they have started to reverse, Tanguay said. To make these biases your allies, Tanguay suggested the following tips. Be diversified in your investments. Make use of multiple methodologies. Be disciplined in selling and rebalancing. Avoid overtrading and chasing returns. And that’s a rap. Er, wrap.